*2007 NRAS Artist Show- G.A.R. Hall Exhibit- Entry "Finding Religion In Paradise"
This was one of 32 churches we passed on the Island of Antigua. 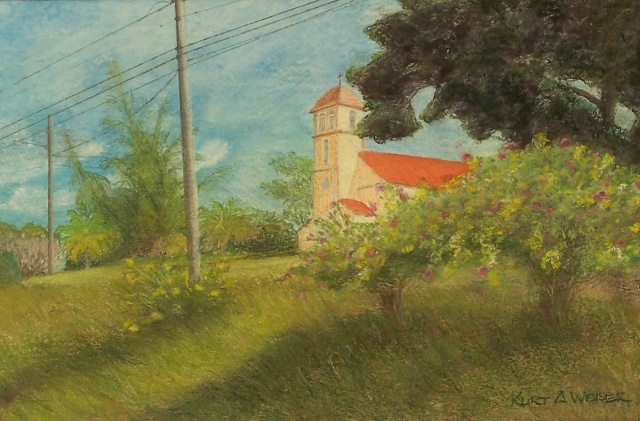 The pastel colors of the church were striking against the Carribean sky and lush green tropical landscape. Image size 12" X 9"